Buxton. Snell Family Farm has long been a local institution in the town of Buxton. Now, the farm will remain a farm for generations to come, thanks to the Snell family’s decision to protect the farm with conservation easements through MFT. Snell Farm is a highly productive diversified farming operation located on both sides of River Road in Buxton. John, Ramona and daughter Carolyn grow produce, herbs, flowers, bedding plants, and fruit for their farm stand, a CSA, and several farmers markets. They also offer pick-your-own raspberries in the summer and apples in the fall. The Snell family is community oriented, and they love growing food and flowers for their long-standing customers. “We are pleased to be able to contribute to the food and floral independence of our region,” said Ramona Snell. MFT has worked with farmers across the state to protect over 60,000 acres of farmland. Help to protect more acres of farmland by giving HERE. MFT & Damariscotta River Association invite you to a celebration of farmland protection and community collaboration in Damariscotta! Join us at recently protected farmland on Rt. One in Damariscotta, now owned and farmed by the farmers of Morning Dew Farm. Food by Harvest Moon Catering, beer from Oxbow Brewing Co.
Music by The Newell Family & Sharon Pyne. PLEASE NOTE THE PARKING SITUATION: Guests must park at the DRA Round Top Farm, 3 Round Top Lane, Damariscotta. We will take shuttles to the farm from there. There is NO PARKING allowed at the farm site. Free & All are Welcome! Bring the whole family! SEE YOU AT THE ROUND TOP FARM! A chance to join Allagash Brewing for dinner at Bumbleroot Organic Farm! Our friends (and MFT business members!) 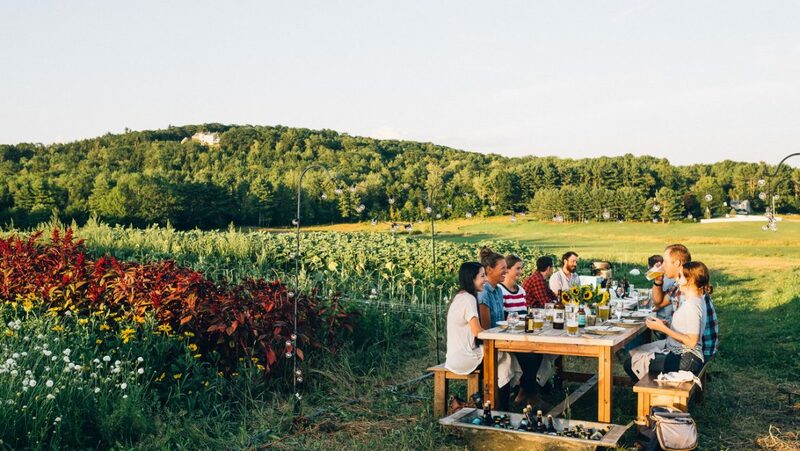 at Allagash Brewing Company are gearing up for A Week in Maine, an entire week dedicated to celebrating our home state, capped with a grand finale farm dinner at Bumbleroot Organic Farm on August 10th. Food for the farm feast is being donated and prepared by Big Tree Hospitality (also one of our business members), the culinary wizards behind three of Portland’s most well-respected restaurants: Hugo’s, The Honey Paw, and Eventide. The dinner will feature four courses, each containing fresh produce from Bumbleroot Farm, and you can bet each course will be amazing. Various Allagash beers will be available to sample. 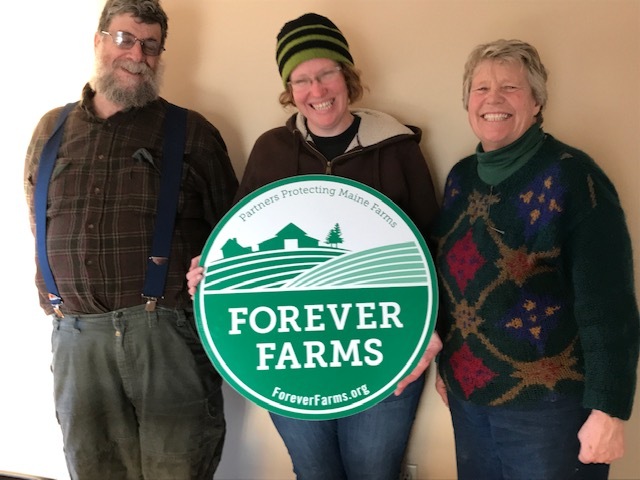 MFT protected Bumbleroot Organic Farm in 2015, and the agricultural easement made it possible for young farmers Melissa, Ben, Jeff, and Abby to purchase the property and grow a thriving farm business! The dinner will celebrate the work that we do together to protect farmland and support farmers in Maine. Here’s the most exciting part: We’d like you to join us! Submit a photo of your favorite Maine farm by Tuesday, August 7, 2018 and we’ll enter your name into a drawing for a pair of seats at the dinner on August 10th. Include the hashtag #aweekinmaine and tag @mainefarms and @allagashbrewing in the caption. We’ll share some of your photos as we go, and will pick several lucky winners at random on August 7! There are several ways to participate in the drawing. You can post your photo on social media (Instagram, Facebook, Twitter) use the the hashtag #aweekinmaine and tag @mainefarms and @allagashbrewing in the caption. The contest will run from July 27 through August 7. How do I win? And what happens if I’m chosen? Winners will be picked at random on August 7. Winners and their guest will be invited to attend a special farm dinner at Bumbleroot Organic Farm in Windham on August 10. If you are picked and are not able to attend we will draw another name. What will you do with my photos? This drawing is about sharing your love for Maine farms and highlighting the importance of farmland protection. Thank you for supporting MFT’s mission! Your photos may be used by MFT to increase awareness of the organization and its work. Please read the following Terms and Conditions for more information and please make sure that you have the permission of the farm’s owner to take and submit your photo. The submitted photographs are called “Content.” By tagging Content created at or associated with MFT with #lovemainefarms2018 through social media or by emailing your photos to MFT, Content creators give MFT the right and permission to publish, republish, or otherwise use Content with or without edits and grant to MFT worldwide, non-exclusive, royalty-free rights and license to use the Content in media including but not limited to websites, video material, print advertising, online advertising, and collateral and other printed material. By submitting Content, all Content creators represent and warrant that they own or have all necessary rights, licenses, and permissions to publish and share the Content, and that the Content does not contain third party copyrighted materials or materials that are otherwise subject to third party ownership of rights in any way. Submitted content may or may not be included in the campaign at the sole discretion of MFT, and MFT reserves the right not to publish any image for any reason. Should any Content provider wish for submitted Content not to be shared or to be withdrawn from the drawing, they may send this request to ellen@mainefarmlandtrust.org and remove the #aweekinmaine and @mainefarms and @allagashbrewing tags from their Content on social media. By participating in the drawing, you (i) agree to be bound by these official rules, including all eligibility requirements, and (ii) agree to be bound by the decisions of the drawing organizers, which are final and binding in all matters relating to the drawing. Failure to comply with these official rules may result in disqualification from the drawing. 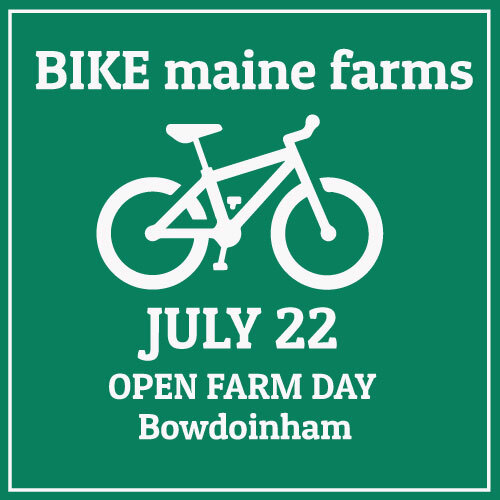 Join MFT for a farm-to-farm bike ride around Bowdoinham! We’ll visit a variety of protected farms, hear from the farmers, and learn more about what it means to be a Forever Farm. More info below! Merrymeeting Trailblazers and MFT are sponsoring the Explore Merrymeeting Bay Bike Tours, visiting the farms and exploring the scenes of Open Farm Day. The ride will include three led bike ride options for a range of abilities and interests. All three led rides will leave from Mailly Waterfront Park. Representatives from Merrymeeting Wheelers, MFT, and Kennebec Estuary Land Trust will be supporting the rides. 9:30am 24-mile ride through Bowdoinham and Richmond with stops to explore farms along the way. This is a good ride for beginner or intermediate riders. 10:00am 35-mile ride through Bowdoinham, Richmond, and Topsham with short stops at farms on the route. This ride is best for intermediate or advanced riders. 11:00am 14-mile ride with stops to explore some of Bowdoinham’s Forever Farms. 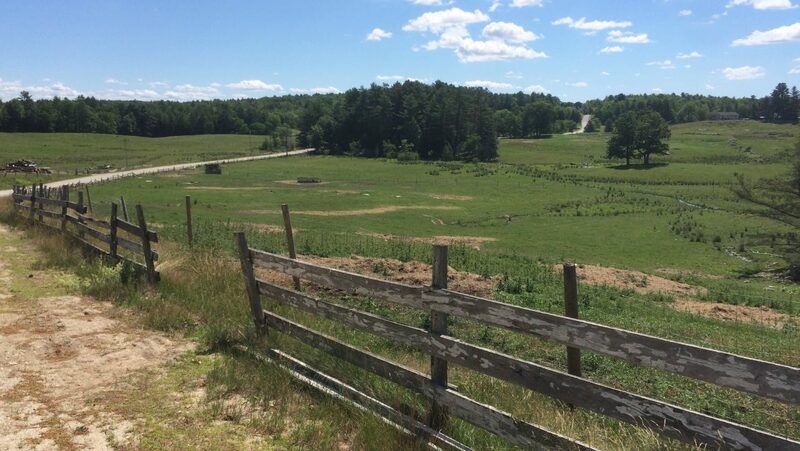 This ride will be led by MFT staff and is good for beginner & intermediate riders and those who are interested in learning more about farmland protection in one of the richest farming areas in Bowdoinham. 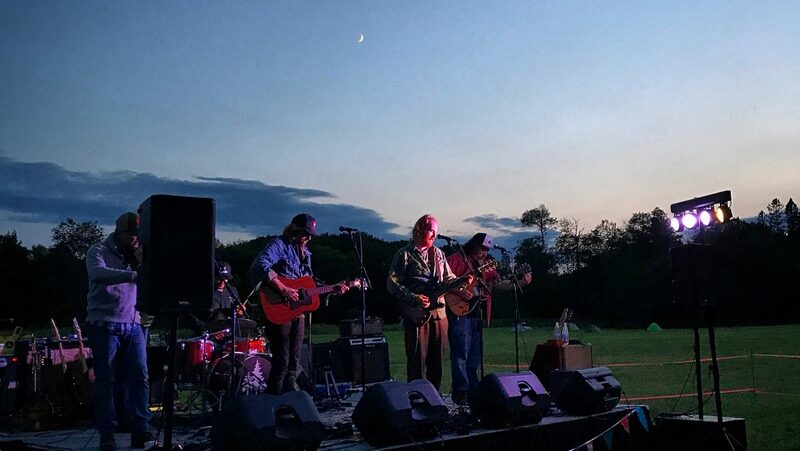 The 2nd annual Agrarian Acts concert was a beautiful success — over 260 people from near and far came out to Eagle View Ranch in Sebec for an evening of local food and music with The Mallett Brothers Band. A Maine-based band, The Mallett Brothers are a nationally touring country rock and roll and Americana group. Their latest album, The Falling of the Pine, celebrates Maine’s rural history and landscape by re-imagining a collection of 19th century folk songs collected in the 1927 book “The Minstrelsy of Maine”. The Mallett Brothers have a clear connection to the land, and to Sebec specifically. The Malletts grew up just a few miles away from the concert location at Eagle View Ranch. The farm (formerly Varnum Farms) is a 2,000+ acre property that was recently protected by MFT and sold to a farmer who is starting a beef cattle operation on the land. The farm is the largest that MFT has ever protected, and stretches for 6 miles along the Sebec River and the River Road. On August 16, Thayden and Nora Farrington protected their 380-acre dairy farm with an agricultural easement through MFT. Thayben Farm sits on two parcels in Jay and Wilton, and the couple inherited the farm from Thayden’s father. The Farringtons made the decision to protect the farm from development as they prepare to pass the farm on to their granddaughter. Thayben Farm has always been a dairy farm and Thayden transitioned to organic production 12 years ago, now selling milk to Organic Valley Cooperative. The Farringtons grow hay and balage on the 100 + acres of tillable ground. There was once an orchard on the farm and the family grew corn off and on over the years. The southern parcel sits on Spruce Mountain and has beautiful views of the surrounding hills and mountains. The property extends up to the top of Spruce Mountain and was previously used as a ski hill. We are honored to be part of making sure that this family farm will remain available for farming for future generations! 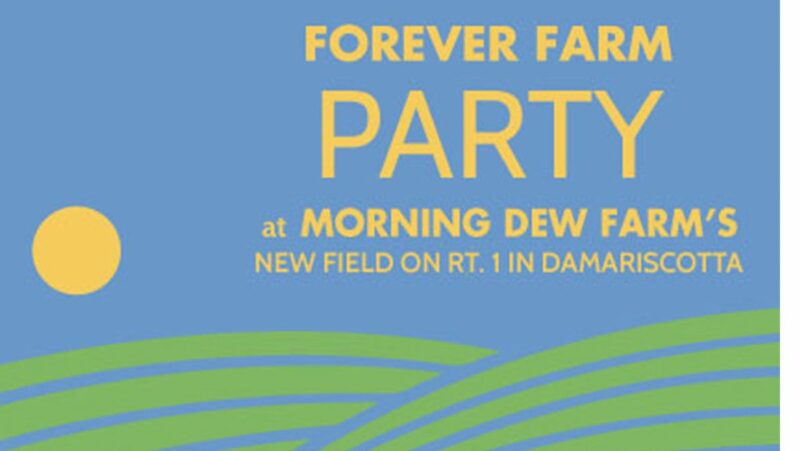 Forever Farm Party at Balfour Farm! Join us at Balfour Farm 461 Webb Rd Pittsfield, Thursday, August 10 5-8 pm, as we celebrate the growing success of farmland protection in Maine! We’ll have tasty food, and local beer + wine (and non-alcoholic drinks, too!). 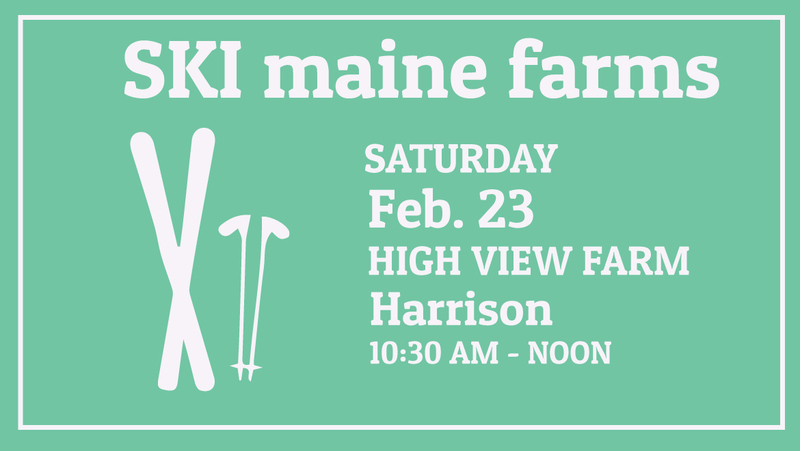 Listen to music, see the farm and learn about MFT’s work to protect Maine farmland. Free! All are welcome! Bring the whole family! On June 30, 2017, MFT purchased a conservation easement on a 427-acre farm on North Pownal Road in New Gloucester. Forrest Waterhouse, was born in the historic farmhouse on the property in 1920 and passed away 96 years later in the same home. His wife Ruth maintained the iconic fences along the road. By selling an easement, the current generation fulfilled the older generation’s desire for the property to always remain as a farm. The easement area includes 99 acres of open land, and 190 acres of farmland soils. In addition to the farmhouse, the property includes two large barns and a number of storage buildings. 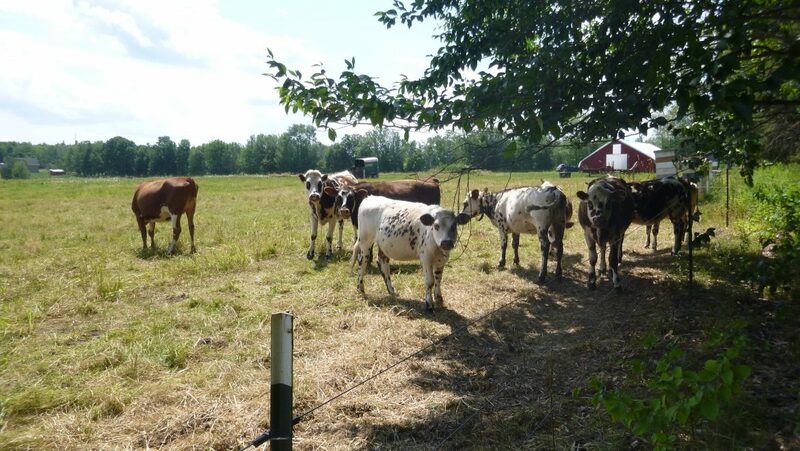 The Waterhouse Farm was operated for many years as a dairy and transitioned to a beef cattle operation in the 1970s. Much of the beef is currently sold wholesale to the Boston area, and they intend to transition to selling more to local markets in the near future. The farm manager, Larry Peaco, who has been working on the property for over three decades, has a strong forestry background and manages the 328 acres of woods. 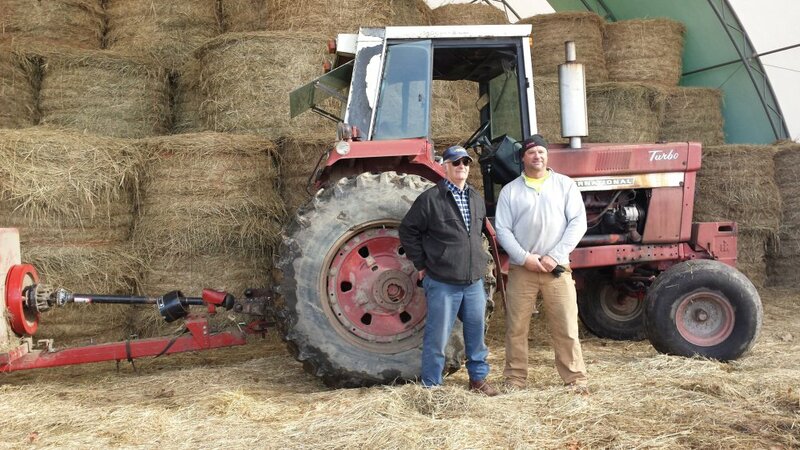 Wayne Hapworth, left, stands with his son Kevin Hapworth in one of the buildings that stores their hay bales on the Hapworth Farm in Winslow. Most mornings Wayne Hapworth, 69, is at the Flatlanda’ Diner in Fairfield by 9 a.m. It’s a routine that gives him a reason to get cleaned up; in a farmer’s life, a fresh change of clothes only lasts so long. By the time Wayne arrives for breakfast he has already milked one hundred cows after catching his usual four or five hours of sleep. Wayne’s wife Linda always said she didn’t want their farmhouse to smell like a barn and Wayne has continued to honor that request in the four years since her passing, leaving his boots and barn clothes by the door when he enters, and keeping up his morning routine of shaving and showering for breakfast. But the visit to the Flatlanda’ is an homage to Linda too. In their 45-year marriage Wayne and Linda spent many mornings at Bonnie’s Diner, a farmhouse turned restaurant that stood close to Hapworth Farm in Winslow, sandwiched between the mighty Kennebec and its smaller tributary, the Sebasticook. Although the restaurant is now out of business, the signs are still up; Wayne passes the ghost of Bonnie’s on his way to the Flatlanda’ in Fairfield. Now Wayne meets up with Sheila Pepoli, the woman who nursed Linda between cancer treatments, the woman Wayne called when, after Linda died, he was staring at a washing machine, wondering how to use it. For 41 years, Linda managed the Hapworth home, put three kids through school, and ultimately returned to school herself, earning an associate degree and taking up a job at the Maine Board of Overseers of the Bar in Augusta, all while running the dairy, keeping the books, and—for twenty years—milking beside her husband every morning. Of course, when there is a death in the family of a farmer, the chores don’t stop. Wayne and Linda’s daughter Suzanne picked up the books and farm management tasks where her mother left off. Wayne’s righthand man—his partner—is his son Kevin, who was there working alongside him, haying, and milking and maintaining while grieving Linda’s death. The farm has two other part-time milkers: one for the morning, one for the evening. The Hapworths do the work of many men on a farm of 400 acres, plus additional leased fields. But on this November day, much of the talk is about football, not farming. One of Kevin’s sons is an athletic prodigy, currently a football star leading his team to the state championships. The call of farming holds no sway for the grandkids. After Kevin, 48, there is not another Hapworth to pick up the fifth-generation legacy. Now the question is: Who will do the adding? “The hard work is done,” Wayne says. “The barns are built, the land is there, the account numbers are there; whoever comes behind us doesn’t have a free ride, but the hard work is done.” Wayne makes it clear that while farming still isn’t “yard work” the physical labor is easier than it used to be thanks to advances in the industry and improvements in equipment. Hapworth Farm itself has often been a site of quiet innovation. Wayne’s father built a milking pit in their parlor—an ergonomic design that puts the milker at shoulder level with the cows’ udders—that was ahead of its time. 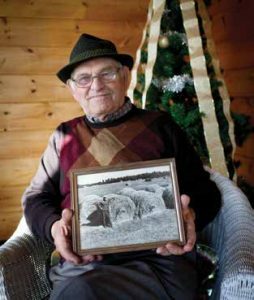 And Wayne’s Uncle Lee recalls that Hapworth Farm had the first round hay baler in the state, which turned out to be something of a roadside attraction; cars lined up along the field to watch the action. People in the dairy industry like to say that there are only two people in the country who understand milk pricing and they’re never allowed to fly together. The work of the farm is not just labor, but finance, management, marketing, and even advocacy. It is a remarkably complex industry, but Wayne has never shied away from that complexity. For many years, he was the president of the Boston Milk Producers. 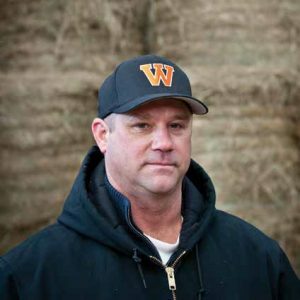 Wayne has worked on farming legislation between milkings, he has tried joining coops and diversifying with beef and hay products; he has been always ready to experiment and pivot. The Hapworths are nothing if not resourceful. Wayne says that the secret to success is simply repairing everything yourself. And he means everything, from fences to engines. Everyone laughs when Wayne says, “If you want something fixed you just tell Uncle Lee it can’t be repaired!” Uncle Lee Hapworth is 86-years-old. When he was growing up on the farm with Wayne’s father, there was one tractor, one car, and one engine between the two. The brothers used to swap out the engine from the tractor to their cut-down Model F Ford on Saturdays; a couple hours of work was worth the weekend joyride. 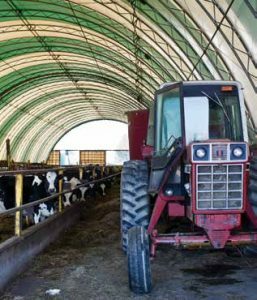 In recent years, Wayne and Kevin erected two new fabric barns (another forward-thinking choice that others are now following) to house both cattle and hay. 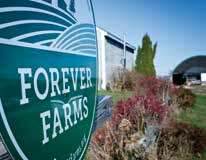 The distinctive semicircles striped in white and green echo the colors of the new Forever Farm sign. Linda’s parting message to Wayne was that he could not let the business fail and forsake the work they’d done together or the work done before them. It is clear Wayne does not want to be the family member who breaks the chain. Houses and barns have come and gone, but the Hapworth ethic lives on. While the next owners likely won’t share his name, Wayne hopes they’ll share his and Kevin’s commitment. 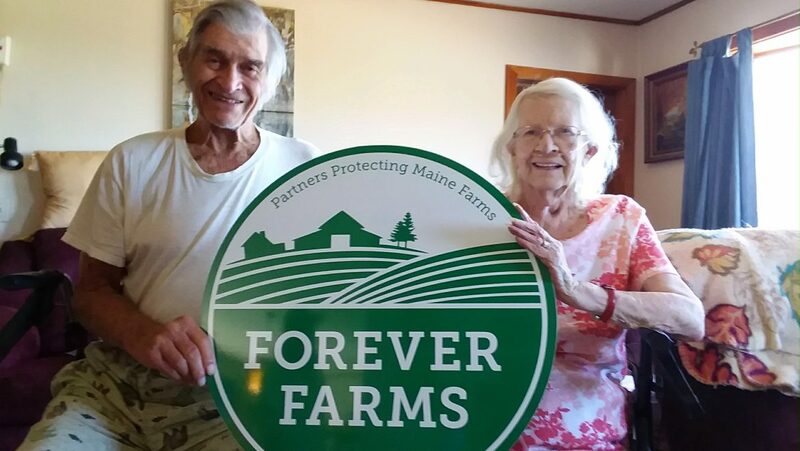 In honor of Linda, Wayne placed an agricultural easement on 160 acres of his land, ensuring that the land will always be available for farming; he closed the deal with Maine Farmland Trust in May of 2014. Wayne says he’s amazed how often people say they’re glad the land won’t become a housing development or a box store. The hope is that the farm will offer a viable life for a new couple to take on, in the spirit of Wayne and Linda. At 69, Wayne is the age at which both his father and grandfather passed away. The generations seem to live with him, and within him. As a dairy farmer, Wayne tends to mothers daily, now without the mother of his children by his side, but with their son. Each day the Hapworth’s gentle stewardship of land and life is a tribute to Linda and what they all built together, now carried on as a Forever Farm. an update: before this piece went to print, the Hapworth family made the difficult decision to cease dairy operations due to a confluence of factors, including the plummeting price of milk. The family continues to farm, focusing on beef and hay, and has not ruled out a return to milking if conditions improve in the future.